Bangkok, a crowded city of nearly 9 million and one of the most cosmopolitan in Southeast Asia. Despite its modern trappings, Bangkok's Asian character remains intact with modern mega malls and towering offices sharing space with Buddhist temples, traditional markets and street food. Bangkok is a multifaceted and fascinating city waiting to be explored. More at Guide to Bangkok. 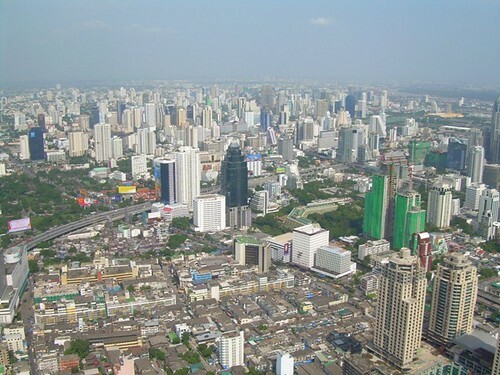 Bangkok is the administrative centre and the economic heart of Thailand. It is also a very lively city with much to see and do including an entertaining nightlife. Situated on the west bank of the Chao Phraya River is Wat Arun (Temple of the Dawn), a prominent Buddhist temple in Bangkok. This landmark site features a tall conical tower in the centre. 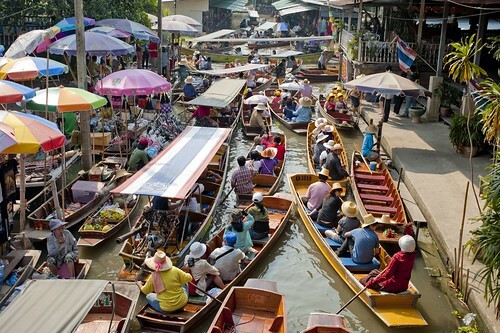 A visit to Bangkok would not be complete without a visit to one of the floating markets. Though popular tourist destinations, it is very much a local affair and Thai way of life. There seems to be a food stall or cart on just about on every street corner and market in Bangkok. 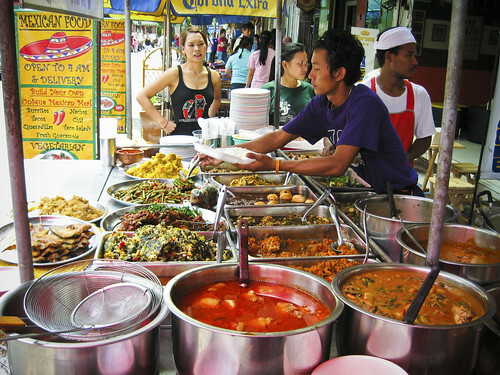 Street food is cheap and offers an endless list of tasty (often spicy) Thai dishes.